In the UK, Christmas pudding is a festive staple and it has been since the medieval times when the dish was first invented. Even cooking this historical pudding is a process steeped in tradition. It should be made on the 25th Sunday after Trinity, known as Stir-Up Sunday and every member of the household should stir the pudding and make a wish whilst doing so. 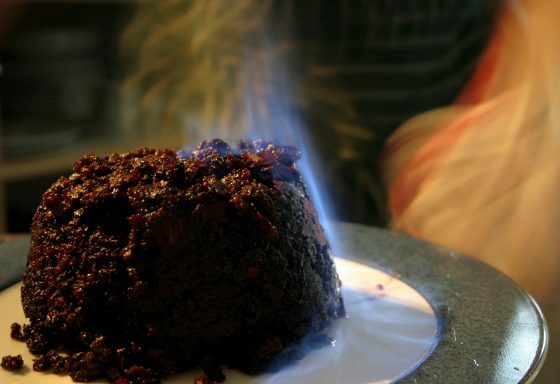 The National Museum of the Royal Navy in Portsmouth contains what is believed to be the world’s oldest Christmas pudding at 116 years old which was sent to cheer up a sailor fighting in the Boer War. We recommend trying the city’s infamous Xmas Duff. The name is simply navy slang for Christmas pudding and the dessert swims for 12 months in a barrel of Pusser’s rum before its served. If you were to visit Provence on Christmas Eve, you’d find a table laden with thirteen desserts. The desserts represent Jesus and his twelve apostles at the last supper and tradition has it that every guest has to eat a small piece of each dessert before attending Midnight Mass. Although the sweets on the table vary from household to household, there are four staples that will almost certainly appear in every home. These are the buche de Nöel – a classic chocolate yule-log cake, calissons – an almond paste candy, quince paste and nougat blanc. There should also be a selection of black nougat, to represent the struggle between good and evil. The Caribbean and rum go hand-in-hand and so it’s no surprise that the traditional festive dessert in Jamaica contains plenty of the much-loved spirit. Fruit is traditionally soaked in rum for months before being added to a dough prepared with sugar and caramelised in boiling water. This result is a cake similar to fruit cake, but boozy enough that you can become intoxicated from eating it – some rum cakes contain as much as 5% alcohol. In Negril, you can visit the Tortuga Rum Cake Factory and see the dessert being made for yourself all-year-round. 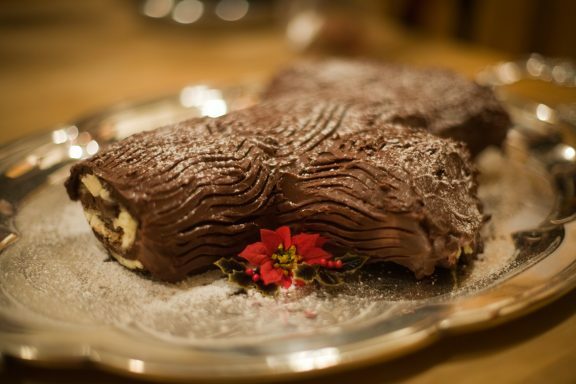 Between Christmas Day and Epiphany is the time for eating Bolo Rei in Portugal. The traditional cake is actually closer to a sweet bread and has a broad bean and a coin placed within the dough. The legend goes that while the Three Kings were following the star to Bethlehem they met a baker who gave them a piece of bread with a broad bean inside. He told the kings that whoever found the broad bean was to give Jesus his present first. In line with this, whoever finds the broad bean in their piece is expected to make Bolo Rei for their family the following year; whilst the person who receives the coin is blessed with good luck. 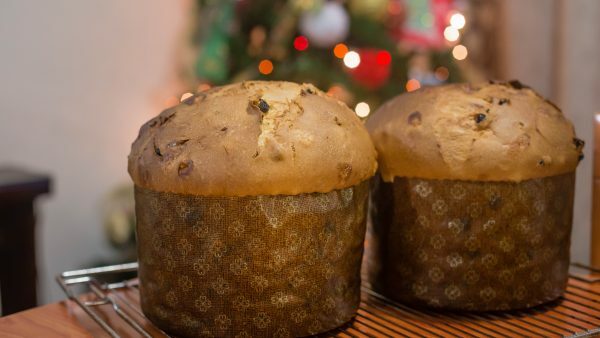 Although it has recently become a popular Christmas food in the UK, Panettone originates from Milan in Italy. The sweet bread was invented in the early twentieth-century and has two bakers to thank for its current form, Angelo Motta who gave the cake its tall domed shape and Gioacchino Alemagna whose brand soon became the most popular amongst locals. Alemagna’s recipe is now made in a factory in Verona and available throughout the world. However, it’s best enjoyed the local way alongside a cool glass of Moscato wine. What dessert do you and your family traditionally enjoy at Christmas? Let us know in the comments below or join in the conversation on Twitter. Images by N i c o l a, Caitlin Childs and Matito via flickr.